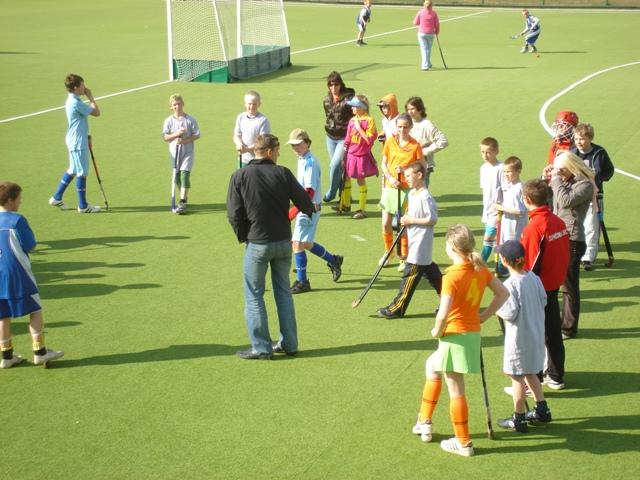 GRAND MASTERS HOCKEY EUROPEAN CUP 2011. NEWS BULLETIN , JUNE 20th – 2011. Reminder and reference to youto our letter to you of May 28th. We would appreciate very much if you could let us have your reactions as quickly as possible and no later than June 30th on the issues mentioned below. In view of the preparation of the Tournament Manual, we would need the duly completed Team Registration Forms as soon as possible with the names of the players and their staff. At the Team Managers meeting on Monday 22nd of August at 10.30 pm., it will be possible to present last minute changes also photo copies of passport page(s), showing player’s passport number and date of birth, which will be returned after verification by the TD and his assistants. We have learnt that a great number of the players and their partners will be using their own cars to travel about Neuss. We are happy to inform you that there is a possibility of parking your cars nearby the Schwarz Weiss Hockey Grouns, Jahnstrasse. The co-ordinates will be given on our Website. For those who wish to use the bus shuttle within the Neuss city area to and from the Hockey Grounds, the ticket price at 10 Euros p.p. still stands, but we are in urgent need of receiving the number of users and their names enabling the committee to order( 1) or (2) buses. Please note that these tickets are valid from August 22nd till 26th. he RIVERBOAT SHUFFLE on the river Rhine on Thursday August 25th. This interesting and romantic trip on the river Rhine will surely be one of the highlights. The trip will cost 50,= Euros p.p. , which includes the bus transport from and to hotels, the 3- course buffet dinner, music and the trip on the boat. Drinks are not included; vouchers will be on sale by way of vending machines. The programme: Departure buses from the hotels starting around 18.30 pm. Last arrivals at the boat at around 19.30 pm. Departure of boat trip at 20.00 pm. Return at 23.30 at the latest. Please let us have the number of persons who will attend this fantastic trip with their names not later than by July 31st. We count on a full house(ship) !! MATCH SCHEDULE, MODE of PLAY and TRAINING FACILITIES. We are about to finalise the above mentioned items. Same will be sent to you by the end of the coming week, or put on the website. We look forward very much to see you all in nearly 2 months time ! !